I love this lamp, It was exactly what I wanted. It arrived well packed & in perfect condition. 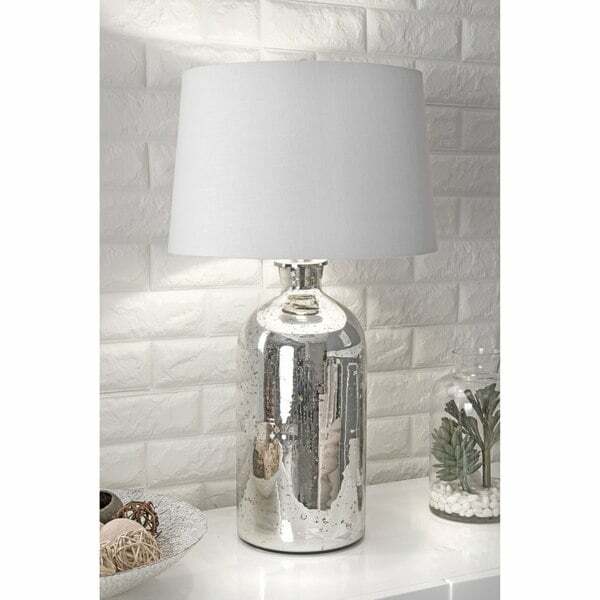 Let your room shine with the addition of this modern, 28-inch high, Glass table lamp. It has a Cotton shade that delivers bright ambient lighting. Add an vibrant flair to any room with its silver glass finish.